Maintaining a safe, beautiful year-round tan just became a snap!!! 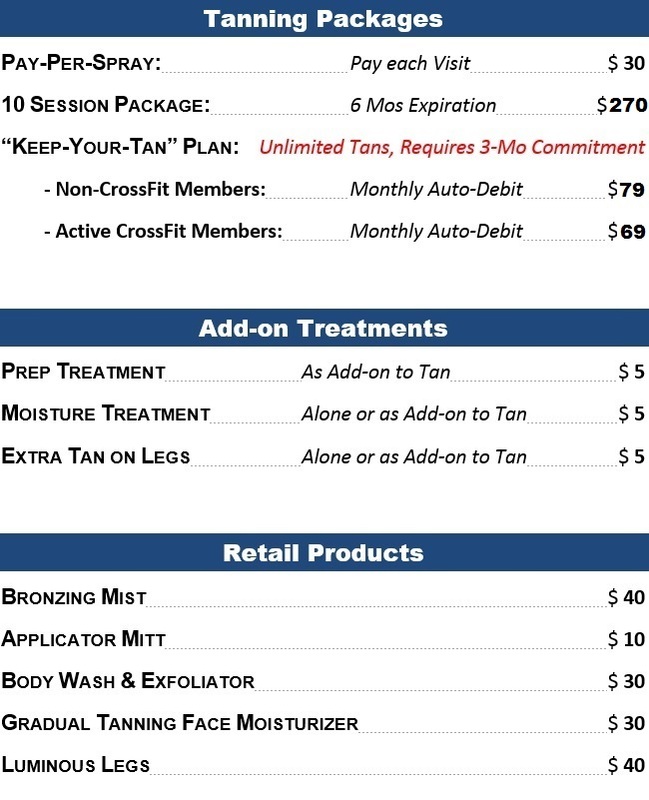 CrossFit Crazy Strong is now offering VersaSpa Pro spray tanning for the Toombs-Montgomery area. 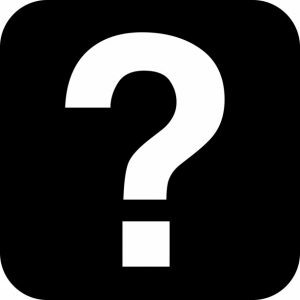 The new VersaSpa Pro offers the latest in sunless tanning technology in order to provide you with a Superior Spray Tanning Experience. Now in less than 5 minutes you can walk out with a luxurious tan that lasts up to two weeks! This innovative technology takes spray tanning to the next level by combining natural golden colors with proven ingredients to boost collagen production and improve skin tone. In other words, it’s a premium spray tanning experience that makes you look younger with every application! Get the golden glow you want and the younger skin you deserve. 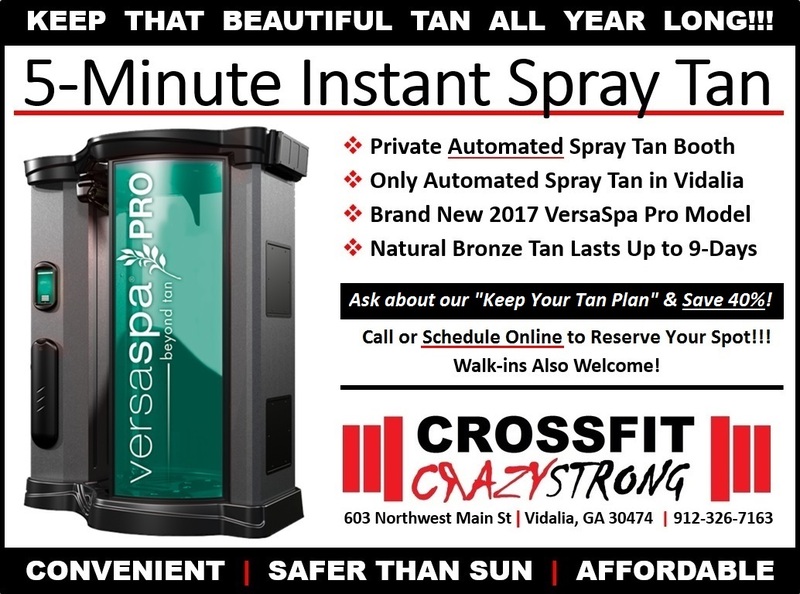 Schedule a VersaSpa spray tanning appointment at our Vidalia, GA CrossFit Crazy Strong location. Extended Tan with Instant Cosmetic Bronzer – Immediate deep, natural cosmetic color fused with an extended tan. Formulated with Eco-Certified DHA and Erythrulose for a long lasting, beautiful tan. Skin Preparation – Start your tan with Perfector to balance skin’s pH for an even, deep tan and see results in as little as 2 hours! Formulated with Grape Seed Extract to help stimulate collagenand improve skin appearance. Moisturizing Treatment – Finish your tan by adding the Moisturizing Treatment for immediate hydration which helps deepen and extend color treatment. Formulated with Green Tea Extract to help reduce free-radical damage and environmental stress on the skin and Ginger Root Extract to help increase circulation. Add these other tanning products to help nurture your skin and extend your tan! Bronzing Mist – VersaSpa Bronzing Mist transforms skin, with an instant bronzed tone, fused with the power of an extended tan. A delicate micro-mist provides head-to-toe color for an even and gorgeous tan. Applicator Mitt – VersaSpa Applicator Mitt assures an easy, even and mess-free application for a perfect sunless tan. Ideal for use when applying or blending sunless tanning lotions, sprays, mousses and other sunless tanning products. Machine washable for multiple uses. Body Wash & Exfoliator – VersaSpa Cleansing Body Wash & Exfoliator prepares and polishes the skin for bronzing, gradual tanning, salon spray tans and sunbed tanning. The exfoliator gently removes deasd skin cells to create a smooth canvas for an even sunless tan. Gradual Tanning Face Moisturizer – VersaSpa Gradual Tanning Face Moisturizer instantly hydrates skin, blurs fine lines and creates a beautiful tan. This weightless blend immediately restores skin to a silky and renewed feel while developing a glow. Luminous Legs – VersaSpa Luminous Legs Shimmering Oil transforms legs with a glamourous finish. But don’t stop at your legs. This ultra-light, bronzer-free, quick-dry shimmering oil helps to deliver an extended tan to your entire body. Schedule your appointment now to reserve your spot and AVOID THE WAIT! !